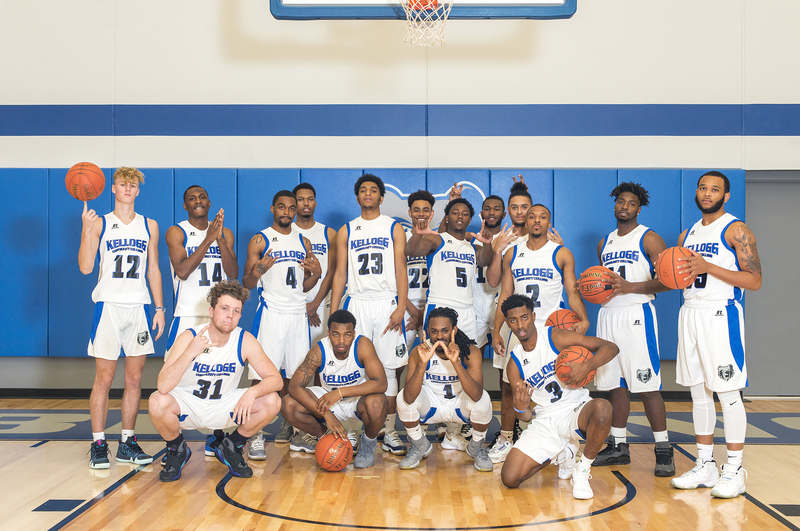 Kellogg Community College’s men’s basketball team won its latest home game 107-82 against Owens Community College on Tuesday in the Miller Gym. Leading the Bruins on the court were sophomore Tishaun Cooper, who had 27 points; sophomore Davian Phillips, who had 16 points; sophomore Victor Sheffey, who had 15 points; freshman Dom Gibson, who had 14 points; freshman Leveon Greene, who had 9 points; and sophomore Omar Tabb Jr, who had 9 points. The recent win brings the Bruins’ overall record for the season so far to 2-1. The team plays next starting at 7:30 p.m. Tuesday, Nov. 27, against Rochester College’s JV team in Rochester. The Bruins’ next home game starts at 7:30 p.m. Thursday, Nov. 29, against Olivet College’s JV team in the Miller Gym.